:: Strawberry Kiwi Mock Margarita Recipe - Yum! :: Product of the Month - Younger Skin, Anyone? :: Middle Eastern Dance Performance - Mark Your Calendars! :: By Request - More days in the week! I can not believe that summer is almost over and school is getting ready to start again! Teachers, be sure to take advantage of your last moments of peace before the new school year! Moms, now you can relax when the kids finally go back to school! 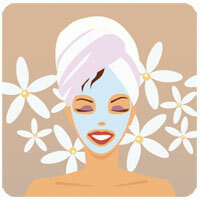 Book a facial treatment today! The Grande Margarita Peel is perfect for exfoliating and moisturizing dry summer skin. With Blue Agave Extract, it is rich in “good” chemicals. This peel contains L-lactic Acid for promoting cell turnover, helping to brighten discolorations and toning the skin. Bromelain exfoliates and moisturizes the skin and you have numerous antioxidants such as Allantoin, Bilberry Extract, Wild Yam Extract and D-alpha-tocopherol, all of which benefit and maintain the health of the skin. We'll talk about the rest of the circuit in next month's newsletter. Cost: $75 each. Pay for the Summer Breeze Circuit Peel series of 3 in advance and receive a complimentary Colorescience Perfectly Clear SPF 30 Sunscreen. That's a $50 value! Strawberry Kiwi Mock Margarita Recipe - Yum! PLACE juices in blender container. ADD ice; cover. Blend on high speed until smooth. Product of the Month - Younger Skin, Anyone? Age Intervention Face Serum is a breakthrough in anti-aging technology directed at adult women over the age of 25 years. Age Intervention Face Serum addresses the appearance of aging skin changes by targeting two critical areas: hormonal levels and changes associated with cumulative sun exposure. It's radically different from other products currently available. The combined topical agents in Age Intervention Face Serum provide extraordinary skin rejuvenation and maintenance benefits for the appearance of female facial skin. 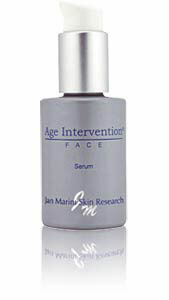 Age Intervention Face Serum is a light fluid consistency that absorbs immediately. Patients will love the smooth silky finish that leaves the skin feeling soft and hydrated. Skin rejuvenation and hydration benefits are noticeable from the first application. Middle Eastern Dance Performance - Mark Your Calendars! Please join us on Saturday, August 18 at 7 at Caesar’s Restaurant, McAlister Square. We will perform some new dances. I hope you will join us for a wonderful evening of food, drink, dance and fun. I believe there will be a special menu the night of the event. Call Caesar’s at 233-4094 to make a reservation. Last show we had almost 200 people! By Request - More days in the week! If for any reason you are unable to make your appointment please call me 24 hours in advance so I may offer another client your time. Take a minute to add me to your phone – 864-271-2710, then I will always be at your fingertips!